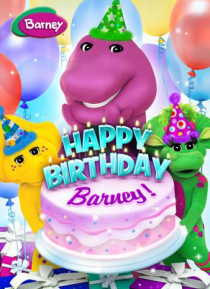 IHG® Rewards Club - Movies - Barney: Happy Birthday Barney! Every day with Barney is fun -- but today is stuuu-PENDously special: it's Barney's birthday! His friends decide to throw a party and BJ and Baby Bop arrive with party supplies to help prepare for the festivities. Jackson is inspired by their assortment of handmade presents and hurries home in search of a very "special" gift for Barney. While waiting for his return, they play party games, sing … songs and open presents.